When snowball fights are through, why not come in from a cold and warm up with hot cocoa and a snowman movie? 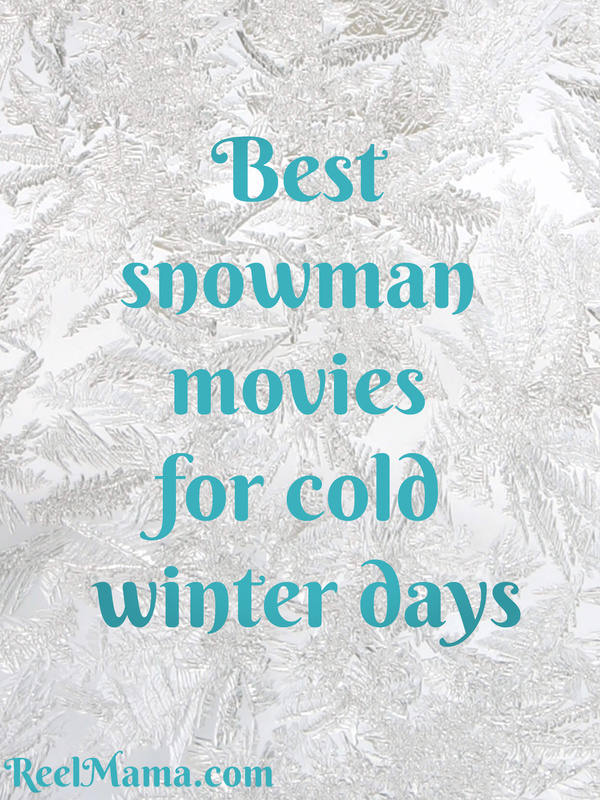 There are a few really good ones that can be enjoyed around Christmas or on a snow day. Here are the best family-friendly snowman movies for cold days when you want to feel warm and fuzzy inside. Plus, my daughter and I whipped up an easy snowman cake to enjoy while watching (recipe below)! The movie is easily at the top of my list for the best snowman movie of all time. The children’s book by Raymond Briggs first came to the small screen without a word of dialogue in 1982. In The Snowman, a boy builds a snowman that comes to life at midnight. He introduces the snowman to all kinds of curious things about humans. The adventure is so touching, and Santa even makes an appearance. It is the most popular Christmas movie for children in England, but hardly seen in the United States. Your child can discover the magic by streaming it on Amazon Prime or finding it on DVD. Watch this sequel to The Snowman after viewing the original, since there’s an important connection between the two. This is a charming story in its own right as a boy moves to a new town and soon after loses his best friend, his dog. He finds a picture of a snowman and decides to build it, along with a pet for his creation. To his delight, both come to life and have a sweet adventure. Streaming on Amazon Prime and available on DVD. You knew I was going to include this one, didn’t you? While technically not a snowman movie in the truest sense, a snowman does steal the show – Olaf! In this tale queen Elsa struggles with an almost uncontrollable power that turns her surroundings to ice. Her younger sister princess Anna is desperate to help. It takes a snowman they built together in their childhood to come to life and remind them what’s most important about sisterhood. Olaf is the quirkiest snowman ever to make an appearance in movies, and he has by far the best singing voice. The Frosty movies (Frosty the Snowman, Frosty Returns, and The Legend of Frosty the Snowman) are all a little dated, but the song remains a classic. No snowman movie list would be complete without them. These are shown every year on network TV during the holidays, and so they are easy to find! I’m not going to lie: Jack Frost isn’t a great snowman movie. But I wanted to have something on the list for older kids. This movie does boast Michael Keaton, but that’s as far as the A-list qualities go. Michael Keaton plays a rocker dad who is always on the road. I don’t think I’d be giving away too much to say that he passes away in a car accident and ends up reincarnated as a snowman. He then visits the son he neglected too much. 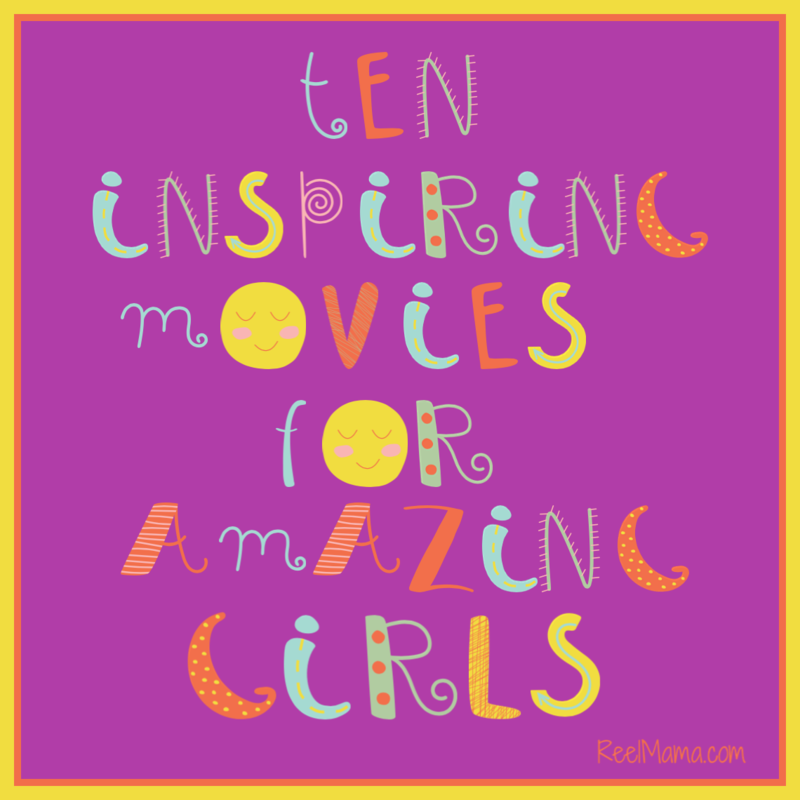 As far as a popcorn flick for a family movie night with kids ten and up, I think it’s okay, but feel free to check out Common Sense Media’s review to make sure it’s right for you. This snowman cake is super easy! I’m not a professional, but I think this came out pretty well, probably better than a lot of the results on Nailed It. This would be fun to make for your snowman movie night with your leftover stocking candy. In a 9-inch round cake pan, you can cook all your batter at one time, and then slice off the top of the cake to make the head. You could also divide the batter and cook it in two separate cake pans if you wish--one 8-inch and one 9-inch pan. You can wrap a piece of foam core in wrapping paper and place your cake after it cools right on top of it. Or you can use parchment paper and a cutting board like I did. You’ll want one cake round for the body and ideally a slightly smaller one for the head. Frost the cake with white Duncan Hines Whipped Frosting with a spatula. We used one entire tub to cover the cake, and we actually dipped into a second one to frost the whole thing. After frosting, sprinkle on the shredded coconut and press it into the frosting slightly to hold in place. Decorate with candy as you wish, and enjoy! 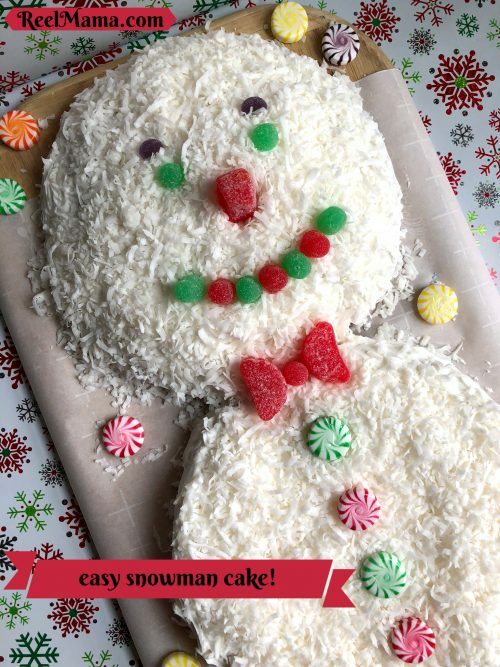 The Easy snowman cake looks like something I would like to make this weekend. My kids will love it! Is there a gluten-free cake mix? My youngest one does not do well with regular flour.